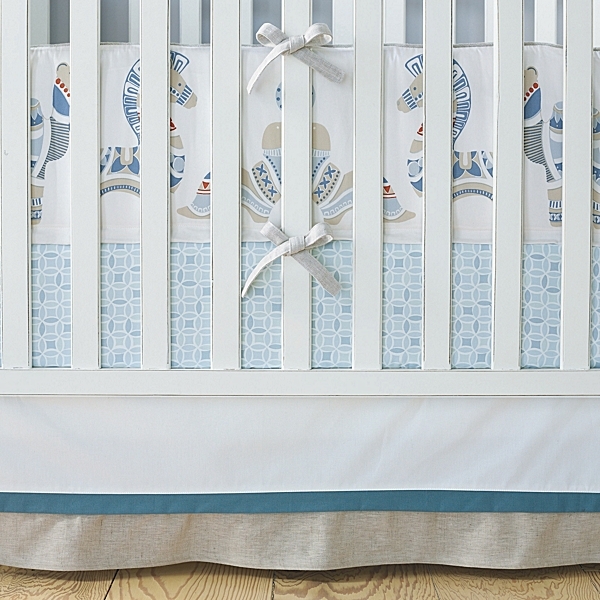 Here’s the deal: baby bedding – bumpers, comforters, quilts – is not a good shower gift. I’m sorry to break this to you. I know: that bumper and tiny matching quilt with the giraffes are so, so cute, but there it is. Just don’t do it. If mom and dad registered for a set, OK, maybe, but I’d rather you picked out something else for them, just in case they come to their senses. OK, I’m done. I’m so sorry if you had your heart set on sending a tiny comforter. I know you meant well and just thought it would be wonderful and adorable. But do the right thing and get little Murgatroyd something else wonderful and adorable instead. Really.